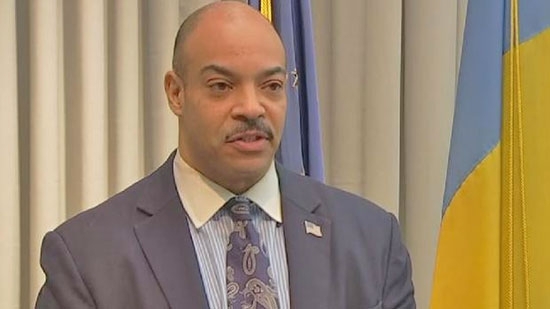 Philadelphia District Attorney Seth Williams announced that he will not seek re-election to a third term following an ethics controversy that included his failing to report $160,000 worth of gifts. He also faces an ongoing FBI and IRS investigation into his personal and political finances. Williams was fined $62,000 by the Philadelphia Board of Ethics last week for failing to disclose gifts that included a new roof, vacations, airfare, sports tickets, a watch, and more. Williams plans to serve out the remainder of his term which ends next January. He apologized by saying, "I have made regrettable mistakes in my personal life and personal financial life that cast an unnecessary shadow over the District Attorney's Office." Philadelphia Police arrived in time to rescue two 65-year-old Vietnamese women who were being terrorized by three suspects during a home invasion early Friday morning. It happened around 2 a.m. on the 2100 block of South 66th Street in Southwest Philadelphia. The men, 2 black and one asian, tied the women up with speaker wire and demanded money. Neighbors heard yelling and screaming and called 911. Officers were able to take all three men into custody. The suspects were armed with 2 guns and a knife. One of the victims told officers that a suspect held the knife to her neck and demanded money. Investigators are trying to determine a motive and if these women were targeted. There have been a string of armed robberies targeting Asian business owners, however, these particular victims are retired and don't own a business. Portions of Market Street in Center City have been closed this afternoon due to falling ice. Both pedestrian and vehicle traffic is blocked off between 12th Street and City Hall. No injuries have been reported. There is no word on when the closure will end.